Home Online mortgage broker or a high-street bank? Online mortgage broker or a high-street bank? More and more people are utilising the skills and expertise of an online mortgage broker, rather than going straight to their bank. The reasoning behind this is quite simple. An online mortgage broker may not only save you money but should also have the expertise to get your mortgage application approved, even if it’s previously been declined. In addition, an online mortgage broker who has access to the whole market can ensure that you’re getting the best product on the market at that time. 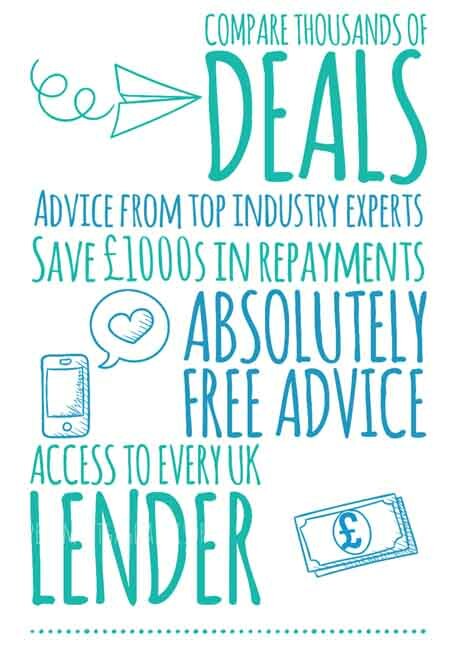 High street lenders will only offer you their own products, so you can’t be sure if it really is the best product on the market for you. Is getting a mortgage from my bank easier? Understandably, borrowers tend to go straight to their bank under the assumption that getting a mortgage is easier and less hassle than using a broker, but this is rarely the case. This is especially true if you’re a borrower who doesn’t have a great credit score or you’ve recently become self-employed. A great mortgage broker will do all the hard work for you and will have access to specialist lenders for all the tricky mortgage applications. Going straight to your bank for a mortgage isn’t always a smart move when searching for a mortgage. Often those looking for mortgages will go to their bank and take the first product offered. There certainly isn’t anything wrong with going to your bank, but shop around before you commit to anything. Don’t forget, this is a mortgage search so do exactly that. Each bank will only offer you their own products, so you’ll only ever see a very small percentage of what’s actually on the market. A mortgage broker can search the entire market for you and in addition, may have access to exclusive deals and specialist lenders for tricky applications. It goes without saying, but don’t get caught in the trap of choosing low rate products before checking for additional fees. Mortgages often come packaged with fees such as surveyor fees and arrangement fees, which vary from product to product. You may find you can get the exact same rate with a different lender, but with lower or even zero fees attached. Be sure to check the cost of the mortgage based on the overall term, as this is what you really want to pay attention to. 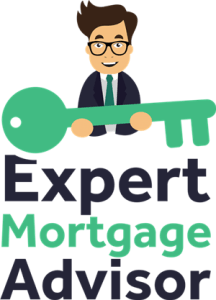 Often enough our expert advisors secure mortgages for applicants who have previously been declined by their banks or other independent brokers. In other similar cases, borrowers may have been offered mortgage products but with extremely high rates with hefty fees attached. Remember, just because one lender has declined you it doesn’t mean every lender will. A knowledgeable online mortgage broker should have a thorough understanding of lender criteria and depending on your situation can place your application with a lender that is likely to accept. Trying to do this by yourself can prove difficult as lenders aren’t open about their criteria. Furthermore, lender criteria is constantly changing. Mortgage brokers are kept up to date with lender criteria as they’re placing mortgages on a daily basis. Mortgages come in all different shapes and sizes. Ensure you understand the different types of mortgages such as tracker rates and fixed rates and make decisions based on what suits you. Although lenders will assess your affordability based on your income and expenditure, it’s important to assess yourself whether the monthly mortgage repayments will suit your lifestyle. Some borrowers may need a mortgage at a much faster rate than others. This could be due to a variety of reasons. Some lenders are a lot slower than others. Whilst this isn’t usually a problem for most, if you need a mortgage instantly, then you’ll need to apply to the most suitable lender. Read more about how to fast-track your mortgage here. Expert advisors are able to understand your circumstances and then recommend certain products which may be more suitable than others. Qualifying for a mortgage isn’t always an easy task. If you don’t fit the standard mould for a mortgage (having contracted employment with a sizeable deposit and clean credit), then getting a mortgage can quickly become an uphill battle. This is especially the case if you visit a high street bank with the aim of getting a mortgage. If you have specialist circumstances like bad credit or you’re self-employed, then you’ll most likely need a specialist mortgage advisor to source you a mortgage. By going to a lender yourself you can increase your risk of being declined, which can further damage your chances of getting mortgage approval in the future. Speaking to an online mortgage broker first can minimise the risk of being declined and can maximise the chances of being approved. This can also be applied to first time buyers, buy to let mortgages, remortgaging and commercial finance. Lenders are forever becoming more strict in who they’ll offer mortgages to, so it’s important that your application is placed with the right lender from the start. You can also save a lot of time by applying for your mortgage online. This is because everything is done via phone and email and from the comfort of your own home. Our specialist advisors have years of experience in mortgages, especially the tricky ones. If you require a mortgage but aren’t sure about what to do next, you can simply make an enquiry and a specialist will call you back and explain what to do next.